Website and Social Media Awareness - AutoNetTV Media, Inc. Filling your website, social media and blog with relevant automotive content can be time-consuming and difficult. Boost the quality and quantity of your online messages with award-winning automotive content that can feed your audience’s digital appetite. Video is now the star of social media and mobile engagement and filling your channels with professional automotive-service videos helps you enhance your online presence and win the attention of current and prospective customers. Display content anywhere on your website, automatically update your blog and share via text, email or newsletter to stay top of mind in your market. 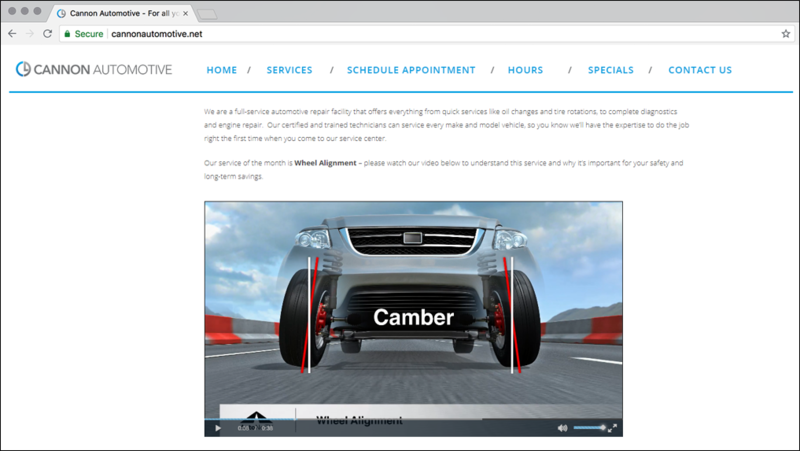 Enhance your website, social media channels and blog with customer education videos that visually explain the importance of automotive service. Today’s consumers seek most information and resources online. The few minutes spent on your site or channels may be their only impression of your business. Ensure that their experience is memorable with AutoNetTV’s Car Care Web—professional automotive videos and articles that grab attention and increase time spent learning about your services. You have professionals who communicate with customers at your physical business location—but who is doing this for you online? AutoNetTV’s informative and easy-to-understand service content adds a virtual professional to your website and social media, day and night. With videos delivering a ten times higher engagement rate than other content, our award-winning library effectively educates anyone who visits your online channels. Customers put their faith in companies with a professional appearance. By creating a visually engaging company image and automating a consistent stream of digital messaging with AutoNetTV’s professional videos, you can reinforce your credibility and expertise while teaching the importance of your service offerings. Video usage on a website increases time spent on the site by 88 percent. In other words, people prefer watching videos to reading several paragraphs of text. Videos are obviously a much faster, easier and more enjoyable way to obtain information—so, why not utilize them? And the better the quality they are, the better the experience your customers will have. AutoNetTV provides you with the best-quality automotive-service videos available anywhere! Wouldn’t it be great if customers asked you more questions about their vehicle’s service needs? Give them something to discuss with thought-provoking videos that explain the benefits of properly maintaining their vehicle. Do you have customers who drop off their vehicles? Email or text service-specific videos to these customers to help explain the importance of needed maintenance and repair work. Visual explanations showing the what and why for your recommendations greatly enhance your customer conversations. Engaging videos bridge the difficult communication gap in discussing technical details over the phone. Videos are shared 12 times more than links and text combined! Boost your social media engagement from current and prospective customers with eye-catching automotive videos. In addition to our massive library of videos and images, the AutoNetTV Car Care Web product includes articles written by AutoNetTV’s automotive experts that can be shared across your social platforms. AutoNetTV’s award-winning content professionals automatically add a new automotive service article to your account each week. These articles push to your blog and can be shared throughout your social media accounts. You can edit or copy any portion of these articles for your website, emails or newsletters to fill the content needs of your business. 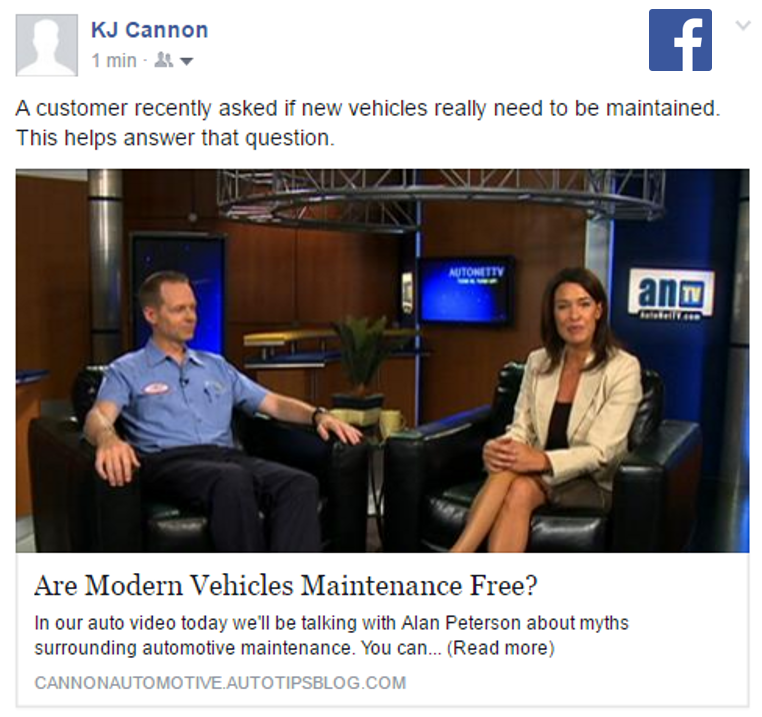 In addition to receiving and using pre-created content, your subscription to AutoNetTV’s Car Care Web product includes the ability to write your own articles, add an AutoNetTV library image to them and share them across your social media channels and blog. AutoNetTV has the highest quality and largest quantity of automotive-service content anywhere. 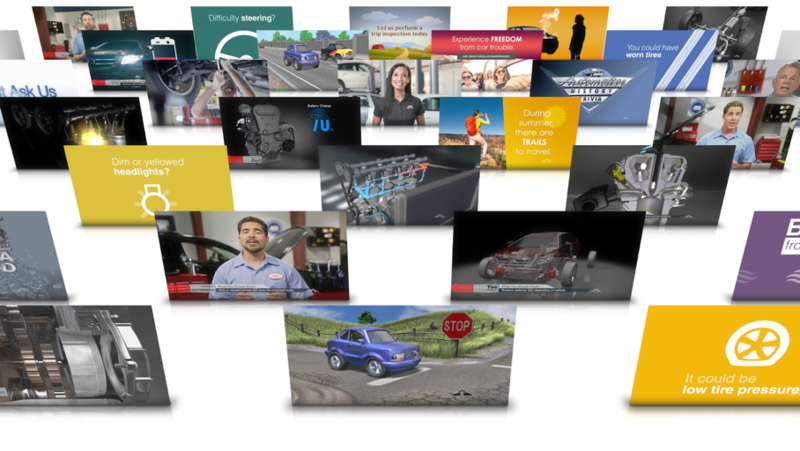 Our library has thousands of videos, animations, images and templates covering virtually every part or service for a vehicle. 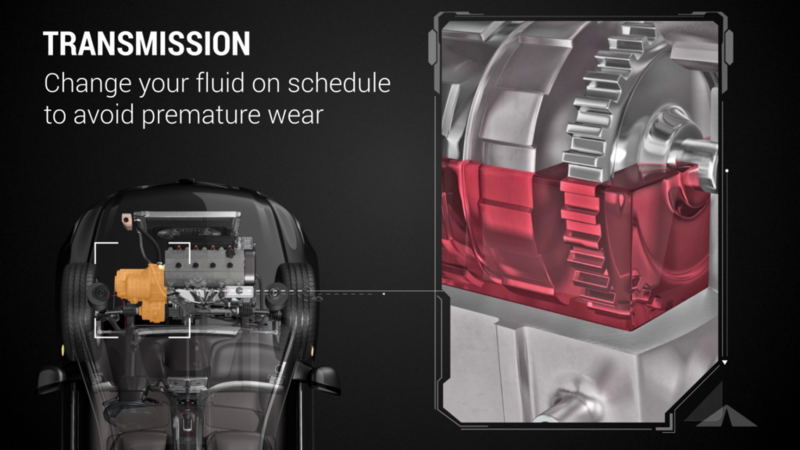 We cover basic services, like transmission, tire replacement and onboard diagnostics to more detailed items like EGR, GDI, CV Boot and U- Joint. Every file in the library is available for you to use with your subscription. Oh, and we’ve won dozens of awards for our content—so not only is our library big, it’s spectacular! Add videos to any page or section of your website to help explain your service offerings or enhance the appeal of your promotions. You can even include your own uploaded videos or videos from your favorite vendors or suppliers. Your webmaster just needs to place the code on your website once; then you can easily drag and drop any new videos to replace the existing content. Your subscription to the AutoNetTV Car Care Web program includes unlimited, one-on-one help from our dedicated Customer Success phone team. 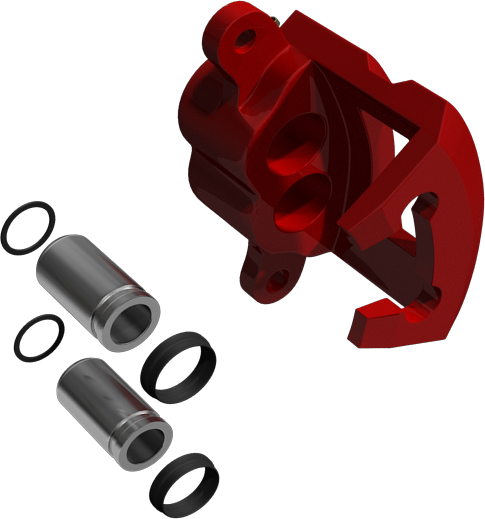 Although we’ve designed our products to be easy to use, we understand that some businesses may want a little extra help. 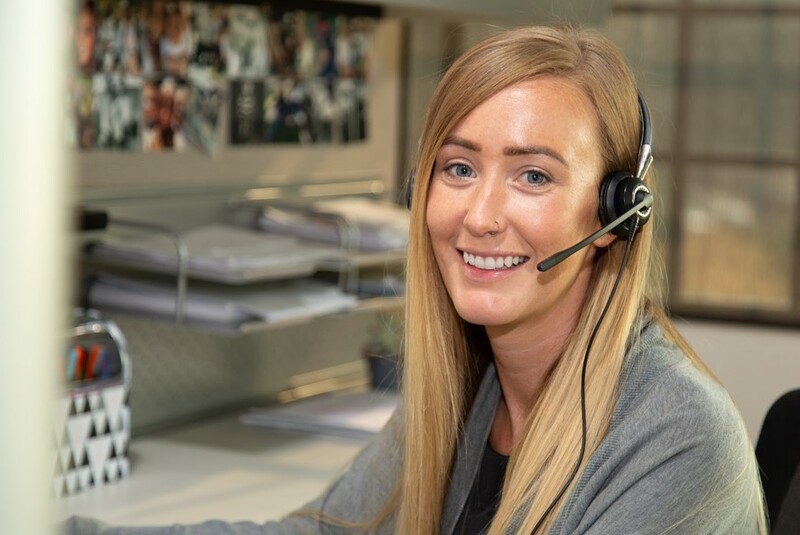 Our team members are happy to help you connect to the internet, teach you how to use the system, answer any of your questions and even help make changes to your program for you. Basically, we offer you a white-glove service at no extra cost. The Car Care Web product displays content on your website, blog, social media channels (Facebook, Twitter, Google+, Pinterest, etc. )—or for sending to customers by email or text message. 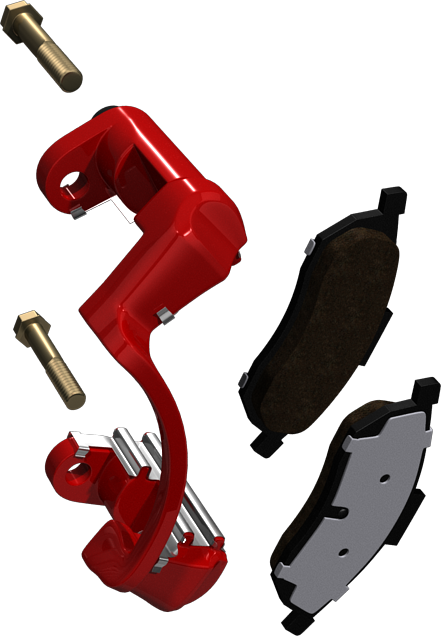 Videos, animations, images and articles on the what, when and why for maintenance and repair services. 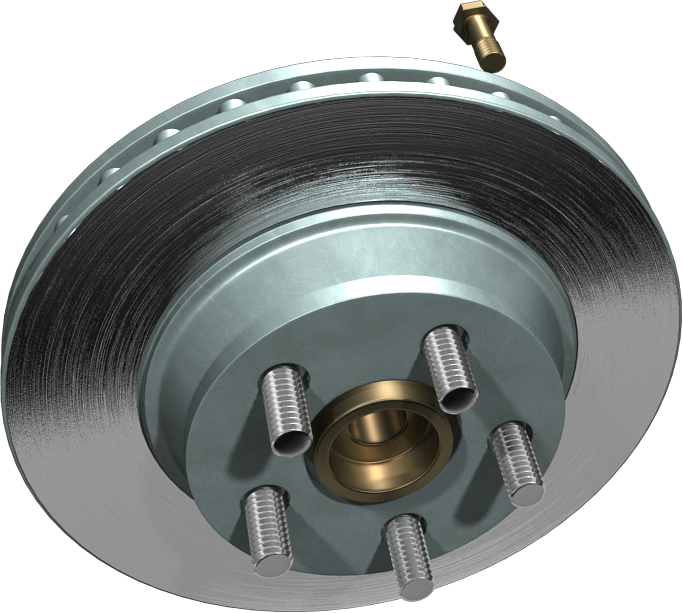 Videos with and without sound may be used with the Car Care Web product. Non-automotive, TV entertainment video clips are not available for the Car Care Web product. A new blog article and video or image is automatically posted to your account weekly. Additional posting or sharing of content on specific pages or accounts is done manually. Content is delivered online from the AutoNetTV servers to your associated accounts (website, blog, social media, etc). You can upload your own videos and create your own articles using your web browser. The Car Care Web product provides the ability to create articles and link images in a web browser. The Car Care Web product is designed for you to share content with your customers via email, text message, social media, blog or website. You can show your posted videos (from your website, Facebook page, etc.) to your customers on demand. The Car Care Web product does not require any equipment. In order to effectively share video content online with customers, we recommend that you have broadband internet at the location where you will be managing your online account.